Stay-at-home parents juggle many responsibilities every single day. Financial stability as well is essential to provide for the needs of the children and the whole household. 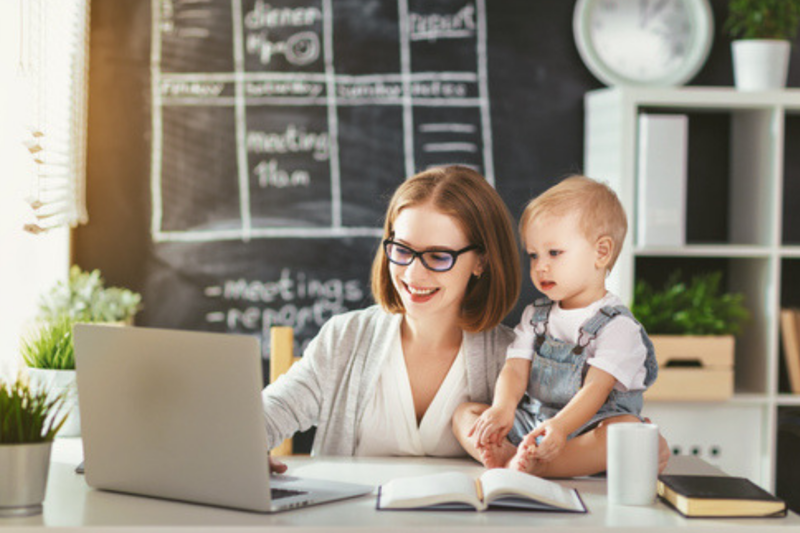 That being said, home-based jobs would be suitable for stay-at-home parents as working at home can be convenient for them since they can still take care of their kids while earning money. For earning tips and more work from home ideas, continue reading below. 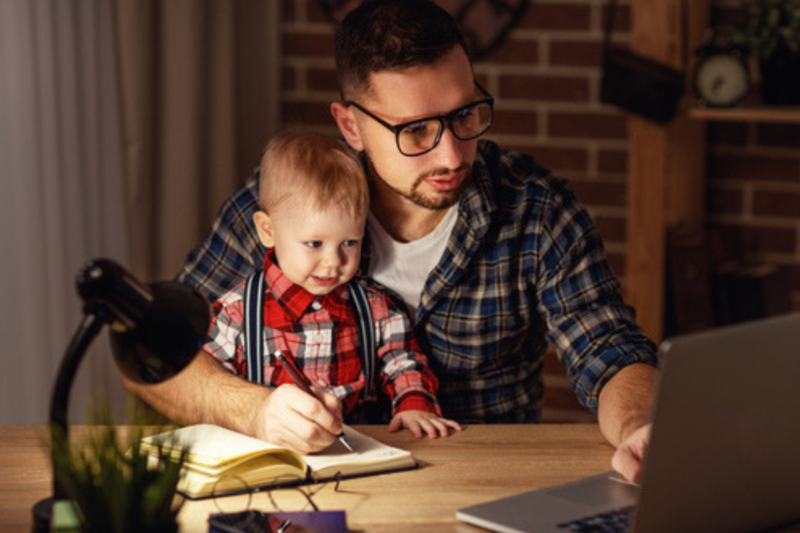 Stay-at-home parents can explore working as virtual tutors since all they need is a reliable desktop or laptop, and high-speed internet connection. There are many communication apps such as Facetime, Skype, Hangouts and the like which are being used by virtual tutors to communicate with their students. In addition, you can pick which schedule is convenient for you to teach, giving you the freedom to attend to your kids as well as household chores. This job can work especially well for parents who are typically hands-on with their kids’ assignments, or parents who can specialize in a particular subject matter. Since you will be tutoring other children or students, this will also benefit you since you will get a refresher on some concepts that you might have otherwise forgotten. If you have adept typing skills with high accuracy on spelling and grammar, then getting a job as a transcriber might be suitable for you. This can work well for stay-at-home parents since this job is remote and it doesn’t require extensive training to work in this kind of role. Bear in mind, though, that as a transcriber, you need enough time and precise concentration to produce accurate transcribed outputs so it might be best to do your transcription work while the kids are at school. Transcribers are usually given various files such as audio, movies, documentaries, show episodes and the like for transcription, so aside from earning money, you can enjoy watching or listening to various media. Basically, a virtual assistant is an online secretary or executive assistant whose primary tasks are usually administrative in nature. VAs can be tasked to take care of travel bookings for company executives, create and provide up-to-date meeting schedules, financial reports, accomplish research on certain scopes of the company among other things. Just like any other online home-based job, you need to have a reliable desktop or laptop, a phone software, and high-speed internet connection. If you’re the type of parent who likes keeping your home neat and organized, being a virtual assistant might just work for you. In addition, if you possess a lot of all-around skills and good communication, this job might just be up your alley. A data entry clerk is a person who enters and updates data into a computer software or system provided by the employer. This type of home-based job requires high accuracy as well as computer skills, such as typing, speed, software installation and removal, creation of emails, and internet optimization. Though it may sound like there are many skills needed, this post doesn’t require experience or bachelor’s degree. This is highly ideal for stay-at-home parents since this only requires a reliable desktop or laptop, high-speed internet connection, and a keen attention to detail. A copy editor or proofreader is someone who fixes, corrects and addresses writing concerns such as grammar, spelling, punctuation, readability, and others. If you’re a stay-at-home parent with proficient English writing and communication skills, and if you enjoy reading during your spare time, this job will be suitable for you. The typical downside of this home-based job, however, is that it is usually being offered on a contractual basis. Once the book or ebook is finished, your contract is already over. To get a more regular income from copy editing or proofreading, you can check out freelance websites which will provide you the opportunity to get more clients who need this type of service. If you’re a graduate of English or communication-related courses, or if you have the appropriate certifications, you will have an edge above the competition. There are several opportunities for stay-at-home parents in getting well-earning home-based jobs. Just be cautious about sites or employers that might potentially be scams. With the proper research, you can stay away from fraudulent employers. To make home-based jobs work for you, you will need tons of patience and dedication in finding the right one. Assess your skills and proficiencies to help you decide the best job you can get so you can provide for the needs of your family while also being present at home.